1968: The Avery County Volunteer Rescue Squad was formed. The first EMS charter in Avery County was founded. 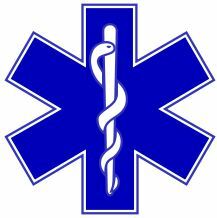 1971: The first Emergency Medical Technician Class was offered in Avery County. The first E.M.T. 's were certified. 1974: The first Hurst "Jaws of Life" were purchased in Avery County. 1975: The Linville Volunteer Fire Department and Rescue Squad was formed. 1978: The Avery Central Volunteer Rescue Squad was formed in Newland. 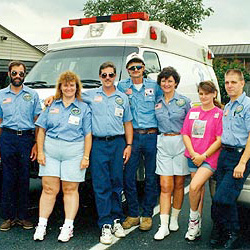 1982: The Avery County Ambulance and Rescue Association was formed from the three volunteer rescue squads in the county. 1984: New techniques were introduced in Avery County to help improve medical care to patients in the field. Among these were the use of IV's and Heart Defibrillators. 1987: Classes and Instructors advanced to Advanced Life Support (A.L.S.) Level. 1989: The Linville-Central Volunteer Rescue Sqad was recognized for the Rescue of the Year Award for the State of North Carolina. A Hang-glider was rescued on Grandfather Mountain. Emergency Rescue Technicians Certification. The first Rescue Techs in Avery County were certified. 1994: The first 24-hour paid E.M.S. system was founded in Avery County. 1995: Received the David Blake Rescue Award for a rescue at Wiseman View. March 26, CPR class , Hosted at Grandfather Mountain. Open to LCRS squad members. 9:30 am to noon. April 24, In-service medical training , Hosted at Grandfather Mountain. Open to LCRS squad members. 9 am to 2 pm. Reminder for Squad Medical Personnel: BLS and ALS Inservice training with Avery EMS on the third Monday and the following Thursday of each month. See calendar, EMS training officer, or call Mayland Community College for details. Linville Central Rescue Squad, Inc. Copyright © 2014-19 by Linville-Central Rescue Squad, Inc. All Rights Reserved.